One-man blackened death metal deviant Luka Milojica (aka Haiduk) returns with Exomancer, the follow-up to 2015’s well-received Demonicon. 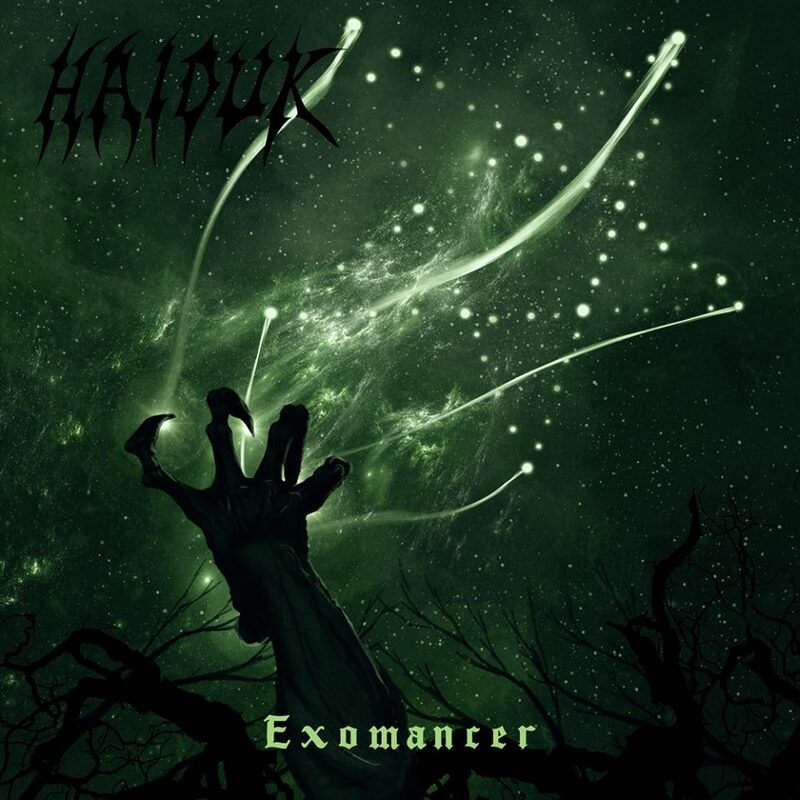 Less entrenched in mud, grime and filth, Exomancer finds Haiduk upping the technicality, further embracing the cold winds of the North and unleashing an endless array of spidery-like riffs which cast their web far and wide. Laced with intricate diversions into an almost hypnotic, tremolo-world of ever undulating riff patterns, there’s more Darkthrone circa Soulside Journey here than the Morbid Angel meets early-Slayer of old, but that only serves to compliment Haiduk’s evolution. Exomancer is avialiable now via bandcamp!